We are brand new company Polish Cappers started in April 2017 with brand new unique design of universal capper for Remington New Army and other guns. We also advertise in Cowboy Chronicle since September 2017 in General Store section. We are selling only through our shop this is the only place to buy this brand new capper. We have 100% happy Customers. Today we received first order from New York State, thanks a lot. Your capper will be send to you tomorrow ;). Here is actual map of our Customers in USA. Today 28 Sept 2017 we received next order from California, thanks a lot. Just came next order from Hawaii Oahu, thanks a lot, you are our second Customer in this island of Hawaii ;). 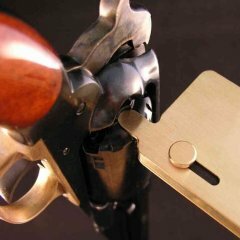 When you begin manufacturing a capper for Colt revolvers, please contact me. I'm not interested in modifying the Remington capper. Dear Prairie Dawg, We started with the capper for Remington New Army because there was a gap on the market. Many RNA users complain that there is no proper capper for them. Now our Polish Cappers capper solved this demand. Regarding Colt we have in our plans to extend our production for Colt version as soon as we will recover our investments in PCA model. It could be in few months from now. PCC version for Colt users will be identical to PCA only the head will be modified to operate with Colt revolvers. So end of this year or beginning of the next one we should be ready with PCC version. Our PCA will be still in production as classic one for Remington Users. We are very proud from our unique head design. BTW. You have already nice and good I believe capper from TDC operating with Colts? Hello, the price is fixed in Polish Zloty. The capper price is 170PLN and the delivery is fixed worldwide 15PLN so together 185 PLN. This price in USD depends on the currency rate and it is now around 50 USD including delivery. You will have exact price in USD when you will pay for it using PayPal or Credit Card, the price is automatic converted to US dollars using current rate. 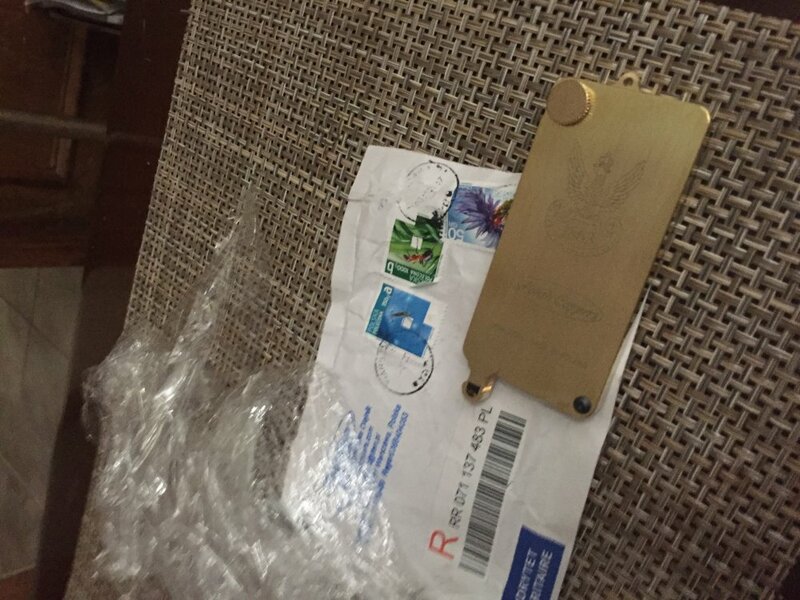 We are delivering using registered letter with tracking number. PS. Dear Crayfish 57929 thanks for your order, we send it today. So next order from Texas. Yep, if Mssr. Pettifogger likes your product I’m in. Next order from California, thank you very much. Come on guys. Support this entrepreneur. We joke about it, but this guy really should be a little worried about Russian Paratroopers. i recently bought a leather recoil pad from a fellow in the Ukraine, same reasoning. Use the forbidden form of payment and you have recourse on satisfaction and credit safety. Thanks Cryfish that you take care of us. Regarding our capper I think it is time needed that people start recognized it among their friends using it and will sooner or later become more visible inside black powder community. Will see, I am very happy that USA is our second largest country we sell to. Of course Poland is number one up to now but I am sure it will reverse and USA will become our main market for our product soon. Regarding Russian and they approach to us /I am not an politician or connected with any party/ we are under so called "hybrid thread" this is what our government is saying now. We have strong positive connection with US and this is our chance for future I think. Your /US/ troops are in Poland and this stops Russians for any further moves. Poland is always alone in the history, we have been many times destroyed and attacked by Germans and Russians. We always needed to fight for freedom and independence. As I mentioned I am not politician but I can tell you he was one and maybe only one who touch our history with such a passion and truth and speak like our best leader. I was very proud listening his speech and feel that we are not alone, that there is someone that we can trust and I believe we can relay on. Those are people in US, US nation, you are similar to us, you have similar values and therefore we are so close together. The concept of freedom and independence is so strong in our both countries. We just now received new order from Oregon, this is first order from this State. Thanks a lot. We just received first order from Indiana, this is first order from this State. Thank you so much. More and more people also start paying by credit cards instead of PayPal so is even better for us much smaller provision = more profit ;). Thank you also for this. Next order from Texas, thanks a lot. Please don't worry that there is no place to put your State in the address field in our shop, we always add this before sending you the capper. 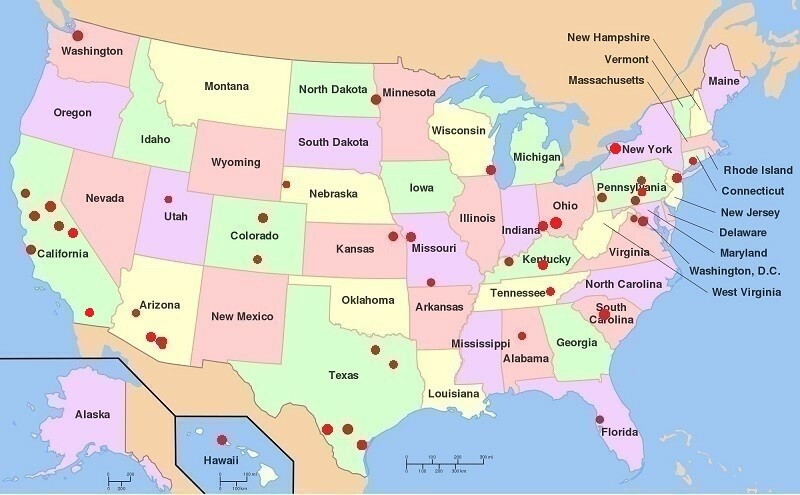 We double check your address in google so we know what state you are order from. Next orders coming, thank you very much. This is first order from Arkansas state and second from Oregon state. If you use credit cards please use Visa, MasterCard or American Express, other cards may not be processed. If you do not have such a card please continue to use PayPal. There are more and more happy Customers in US using our brand new capper. Thank you for your support, trust and of course orders. Hello, next orders coming. We received first order from Illinois and next from Kansas and California. Thank you very much. First time we are sending 8 cappers to US in one day. All cappers will be send today. I'm also interested in the Colt capper , Please let us know when they are ready. Sure I will let you know ASAP when PCC will be ready. /BTW it will be in direct competition to TDC snail capper, do you really want this...? / I am not in the hurry to introduce PCC because of this as well. I believe TDC snail capper is good for Colts? But if people will insist on us we will go for it. Next order from Washington state, thanks a lot. We will send your capper tomorrow. BTW I have checked that our capper is working also without modification with Colt Cattleman and with little file down with Colt Army, Colt Sheriff .44. We are happy with your positive feedback we receive very often. I am sure this masterpiece will be your best capper ever. PS. We discovered that people have sometimes problems with card payments, please use PayPal if you do not have Amex or Visa card. Just now we received next order from New York state from our Customer who already have one our capper, this is so great!. Thank you very much. Next order from Oregon state, thank you so much. Bigger red dots mean more Customers from that area. Texas is letting Coocooville beat us out? 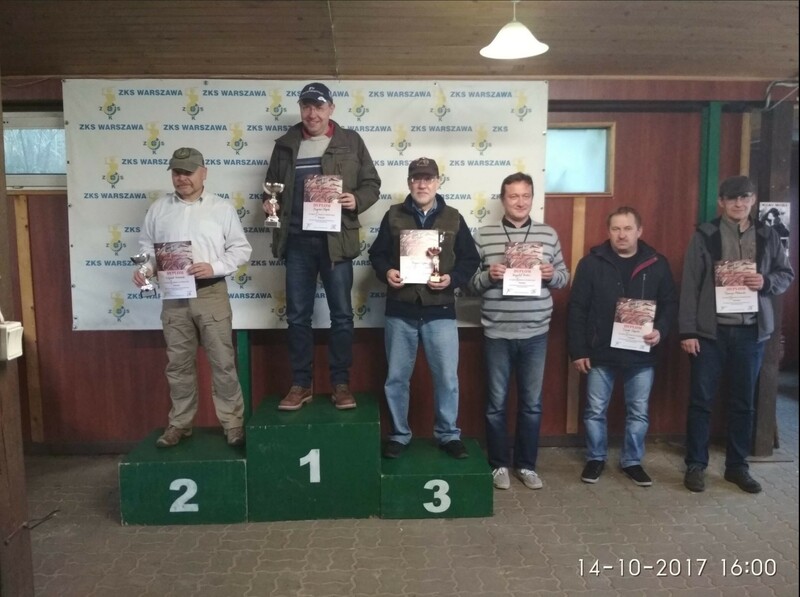 I have good information, Today, during the Mazovian Cup, where I had the pleasure of competing and winning the first place, I tested my PCA capper with a handmade filled down head on various Colts. It turned out that it worked without problems with the Colts Navy, Dragoon, Walker and Army. This means that I do not have to file down it as much as I thought it would take a much smoother filing. This brings me to the point that I will go next week with my PCA modified capper to black powder gun shop and will double check with various Colts if it works well. If it will be OK then in the end of this year PCC model will be produced. Very cool, I'm from Warsaw, Missouri. Yes Cool, this is what Wiki says: The city was named after Warsaw, the capital city of Poland, in honor of the Revolutionary War hero Tadeusz Kościuszko, who was Polish and had also fought for independence in his homeland. Warsaw was a steamboat port, the furthest point up the Osage River they could navigate. This is next proof that we have a lot in common as nations ;). Hello today we received first order from Massachusetts state. Thanks a lot. 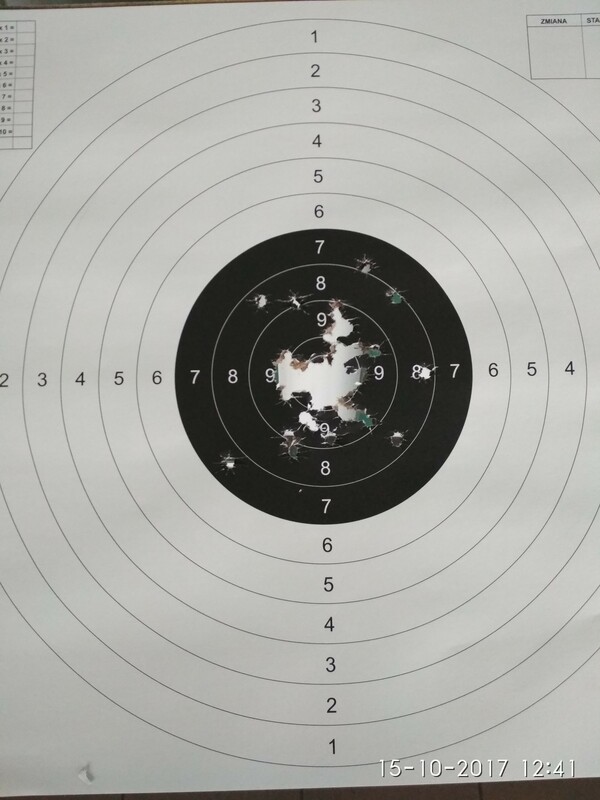 BTW I have been today on training in shooting range and I shot 50 rounds from 25m from my LePage .44 pistol standing one hand grip. Hello, today we received next order from Texas and new one from Scotland UK. Thank you very much. Mike is great craftsman and his holster looks so nice. Maybe you can contact him and ask for one ;). What’s up with the short guy standing with the honorable mention participants? He looks like he is not pleased at all. Well, it is difficult to assess why he is sad. Sometimes people do not like to smile even if they have good reason for that. I do not know really. 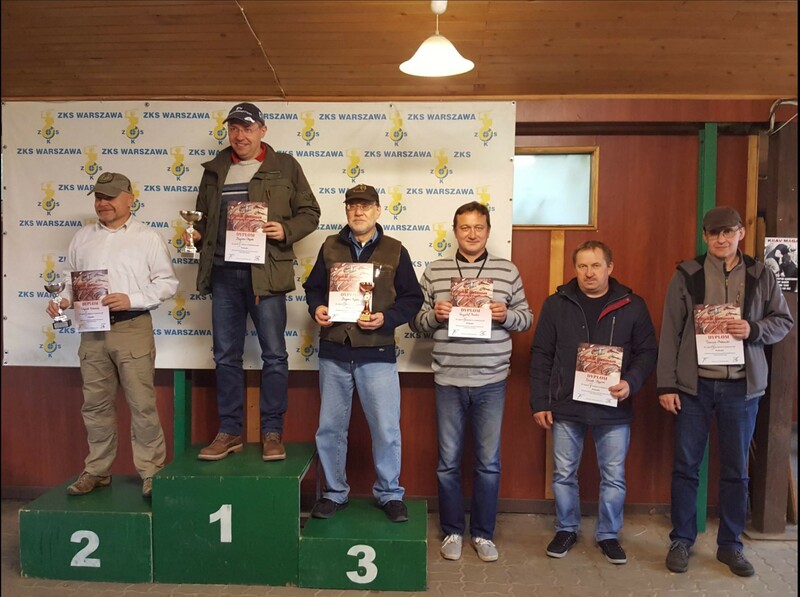 I know this gentleman on 3rd place he is not smiling on this picture because he is very good shooter, very often he is on first place. He is my "guru" and I learned a lot from him. So here I know why he is not so happy this time. Nevertheless there are all of these people very nice and friendly. 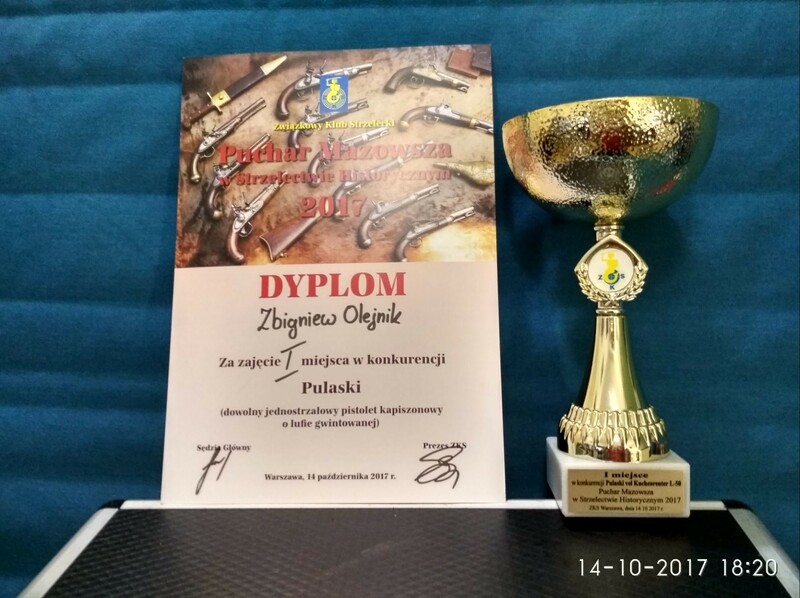 It is really nice to be part of this black powder community and have a chance to be together during various competitions. Recieved my capper today 10/16 Ordered 10/3. Hello, next order from Arizona, thank you very much. Hello, next order from California, thanks a lot your capper will be send today. Here is updated map of our Customers in USA. Hello just arrived next order from Washington state, thanks a lot. I am interested in a Colt Navy version to. Can you deliver to Australia? Sure we deliver world-wide. We have already Customers in Australia and New Zealand ;). You need to wait for PCC model or take this PCA and adjust the head to Colt Navy by yourself. I expect PCC version in 2-3 months. It depends how fast we will sell most of PCA /Remington version/. Hello, we just received next order from South Carolina, thank you very much, your capper will be send today.